How to customize your 404 page to generate more business. How an Opt In could generate more art sales. Ready to make money with your artistic talent full time? 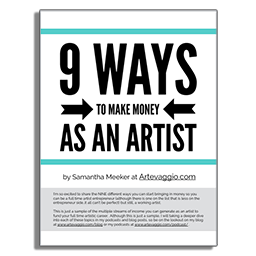 Get your FREE download to learn NINE ways you can earn income as an artist full time. 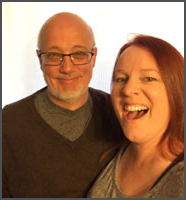 Artevaggio is a resource for artist entrepreneurs run by Samantha (me) & Jim Meeker (my husband), to teach you about running an online art business. We hope that through our blog, podcasts, courses and other social media venues, we will be able to help one another as we grow and aspire as artists.